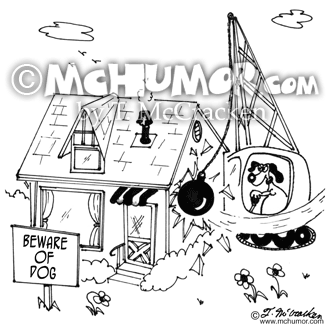 Dog Cartoon 6305: Near a "Beware of Dog" sign is a dog swings a wrecking ball at a house. 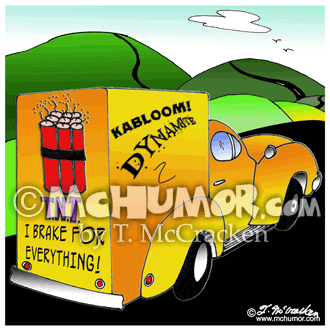 Construction Cartoon 4492: A sign on back of dynamite truck says, "I brake for EVERYTHING." 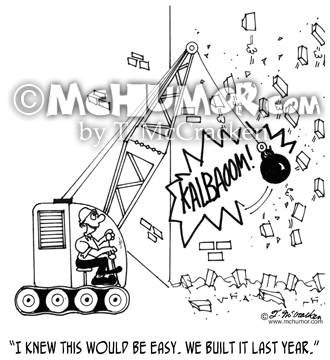 Demolition Cartoon 4408: A man knocking down a building with a wrecking ball says, "I knew this would be easy. 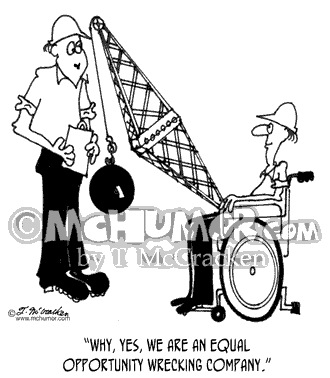 We built it last year." 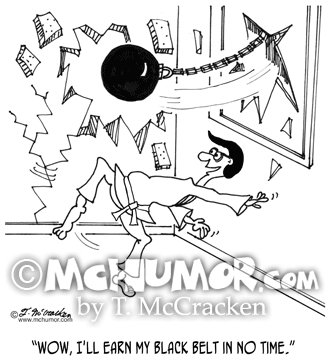 Karate Cartoon 6323: A man practicing karate kicks down a wall ... or so he thinks. 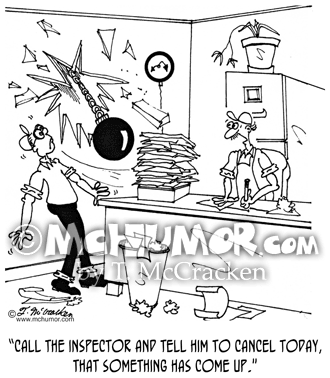 Not seeing the wrecking ball that's just flown by he shouts, "Wow, I'll earn my black belt in no time." 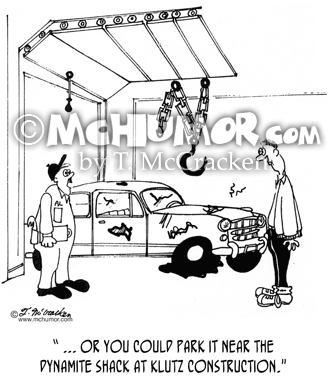 Auto Cartoon 4357: A mechanic looking at a clunker of a car says to the owner, " ... or you could park it near the Dynamite Shack at Klutz Construction." 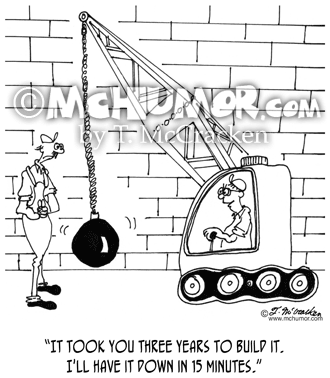 Demolition Cartoon 6384: A man with a wrecking ball says to a contractor, "It took you three years to build it. I'll have it down in 15 minutes." 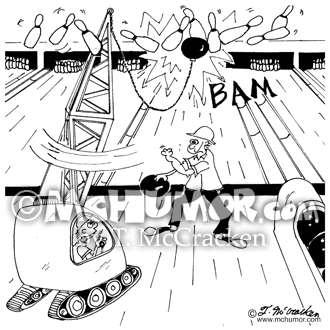 Bowling Cartoon 7159: A wrecking ball gets a strike in a bowling alley. 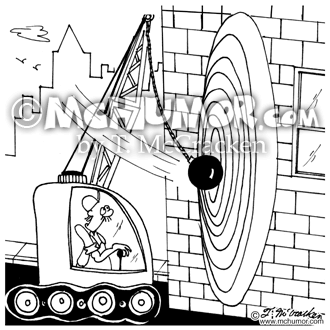 Wrecking Cartoon 6330: A wrecking ball aims for a bullseye target painted on the side of a building.